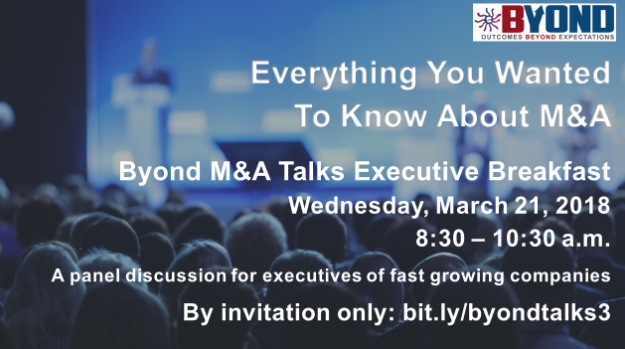 Click the event title for complete details and registration information. Past Byond events are listed below. Small Business M&A is the focus of the Small Business Network (SBN) shown on Montgomery County Public TV. 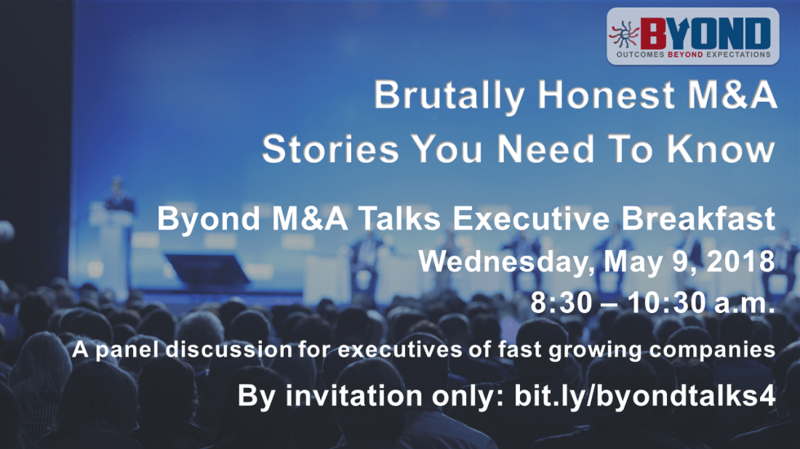 Byond’s Laurie Wiggins is a panelist. Click here to see a recording of the TV broadcast. 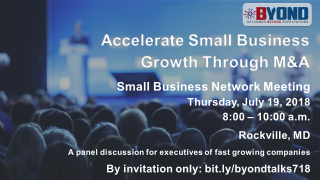 Click here to see a recording of the panel discussion. 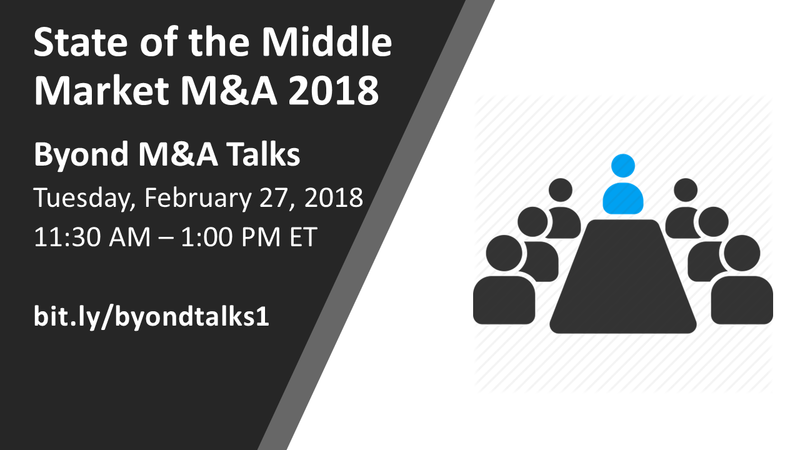 Join us for this interactive discussion about the trends and opportunities in the Middle Market M&A. 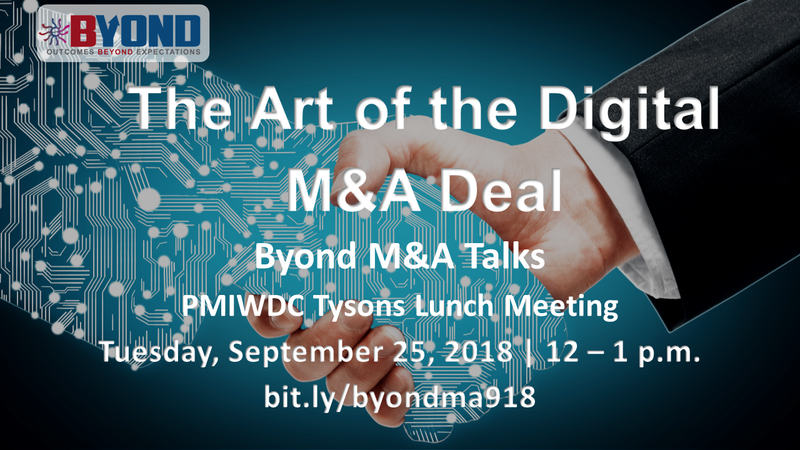 Join us for this interactive discussion about why digital M&A matters in today’s business environment. 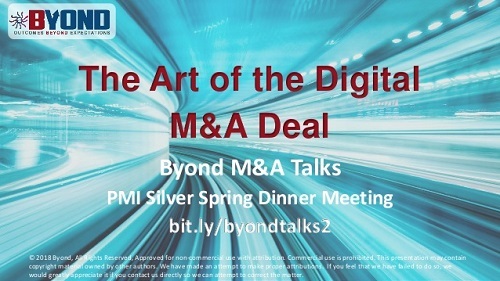 This engaging discussion is held in collaboration with the Project Management Institute Silver Spring chapter. 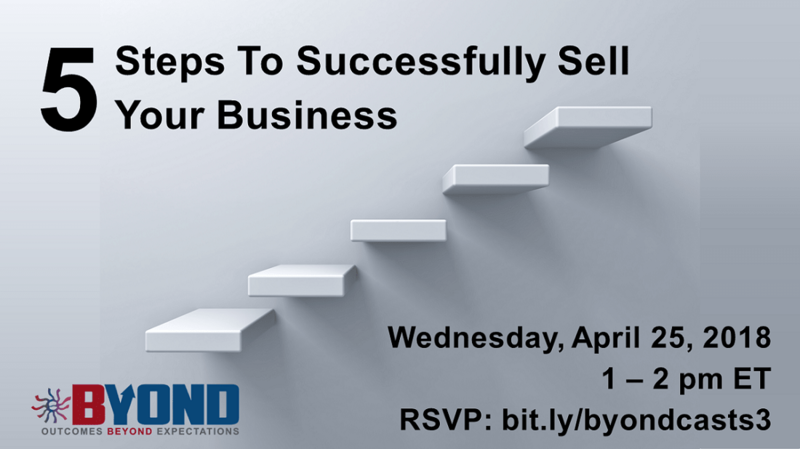 You must register on their website in order to attend this event. 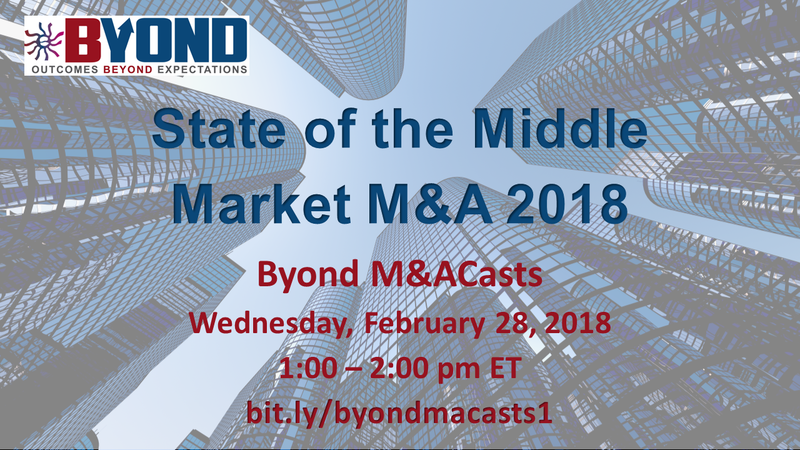 Join us for this engaging webcast about the trends and opportunities in the Middle Market M&A. 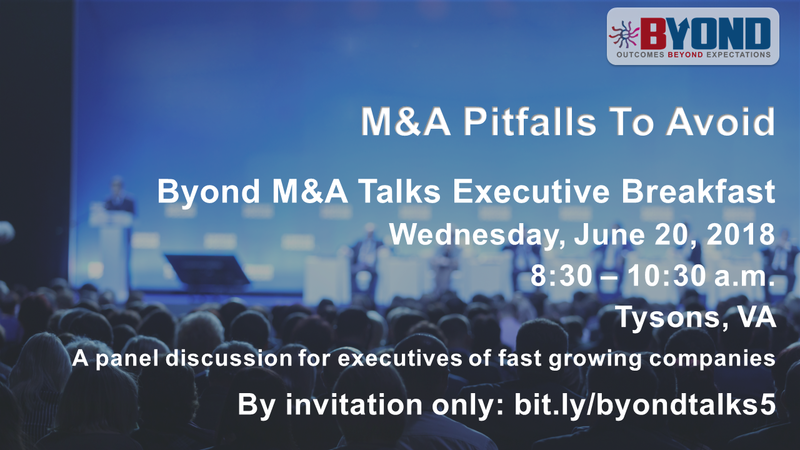 This is an interactive discussion about the trends and opportunities in the Middle Market M&A.